Evan Sherman brings a youthful quintet of New York’s finest creatives. Sherman’s groups have been delivering exciting music all over the world including Australia as well as, Jazz at Lincoln Center’s Dizzy’s where they have maintained a residency since 2014. 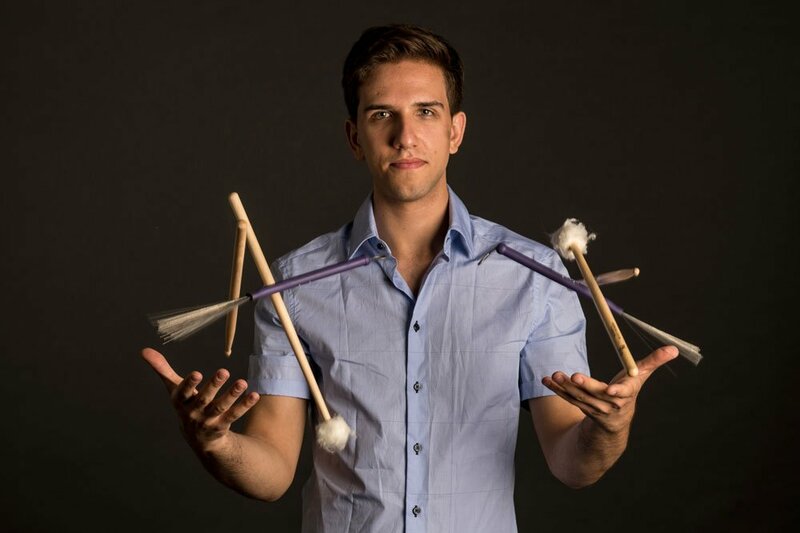 Drummer, Bandleader, Composer, and Arranger, Evan Sherman (b. 1993) spreads his enthusiasm for jazz across the planet. Evan has performed on four continents, playing alongside such jazz icons as Wynton Marsalis, Ron Carter, Roy Hargrove, Branford Marsalis, James Moody & Cyrus Chestnut. Based in NYC, he is the drummer for both the Jimmy Heath Big Band and Dizzy Gillespie All-Star Big Band, among others. Evan is also the founding leader of The Evan Sherman Big Band, a 16-piece ensemble of jazz veterans and New York’s most dynamic young musicians. Continuing to garner praise from audiences and critics alike, the big band often features music’s giants and has been featured at Jazz at Lincoln Center, Rainbow Room, Ginny’s Supper Club in Harlem, The Django in TriBeca, Lincoln Center’s Midsummer Night’s Swing, Caramoor Jazz Festival, SteelStacks (PA), and the Perth International Arts Festival (Australia). In addition to performing, Evan loves to present clinics/workshops, educating people all over the world about jazz. He also serves as the artistic director of “Jazz for Jennings”, a charity founded by the late ABC world news journalist, Peter Jennings along with jazz pioneer, Max Roach. For more information, visit evanshermanmusic.com.